Thailand, also named the "Land of Smiles", is one of the most popular tourist destinations in Asia, if not the world. If you ask most people where there favorite holiday destinations have been, or even their personal wish-list of countries, visiting Thailand is always either close to the top, or at the very top of the list. After all, 14.5 million visitors entering the country each year can't have got it all wrong!. Within the Kingdom of Thailand there are five main tourist destinations: Bangkok, Phuket, Chiang Mai, Pattaya & Koh Samui. The reason so many people head south upon reaching Bangkok is the natural beauty, pristine white sands, and crystal clear waters of the coastal resorts, and the natural draw of the islands. 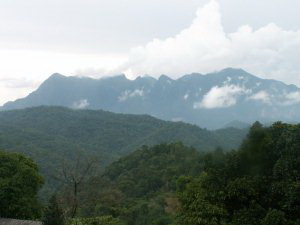 Besides the natural beauty of the south, the mountainous regions of the north, particularly around the city Chiang Mai offer rich cultural experiences. This area is steeped in the rich colorful history of this country. 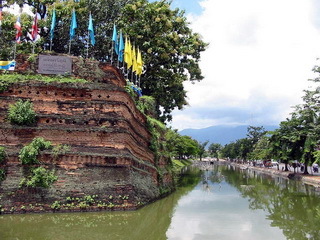 Chiang Mai itself has over 300 temples stretched throughout the city and surrounding areas, it also boasts an ancient moat and wall dating back some 750 years. It's also the place I call home. I have lived here for 4 years now, 4 of the best years of my life. The natural beauty of the area, the natural friendliness of locals, and the slightly cooler winter nights make it like heaven on earth to me. Chiang Mai is also a great base for exploring the area, whether you want to go trekking, home stay up in the remote mountains with the Hill Tribe people, visit the countless stunning temples or just chill around the city. 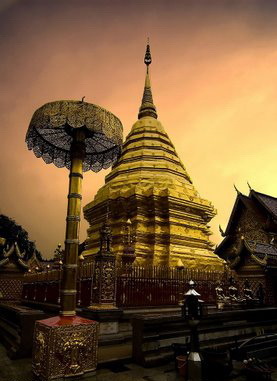 Ask any visitor to Chiang Mai what they think of the city, and everyone will say that it is fantastic. It has a certain magic about it that you can only understand after you have visited, and I want to stay under it's spell forever. The Land of Smiles has long had the reputation of being a country that is extremely hospitable for tourists. Thai's by nature are friendly people, always smiling and trying to help whenever they can. So, whether you seek the beautiful beaches in the south, or mountains and rainforest to the North, there is something for everyone here in Thailand.